More and more these days I am approached by people looking for something very different to the modern, generally accepted, run-of-the-mill, polished black headstones with machined gold lettering as a lasting memorial to loved ones. As an artist, it is my aim to provide a unique, creative design particular to the client. All my lettering work is hand-cut using traditional methods with a mallet and chisels. I hope you will see within the examples here, the individual nature of my work. If you would like to discuss commissioning a unique, traditionally-carved memorial headstone, follow this link to my contact page. 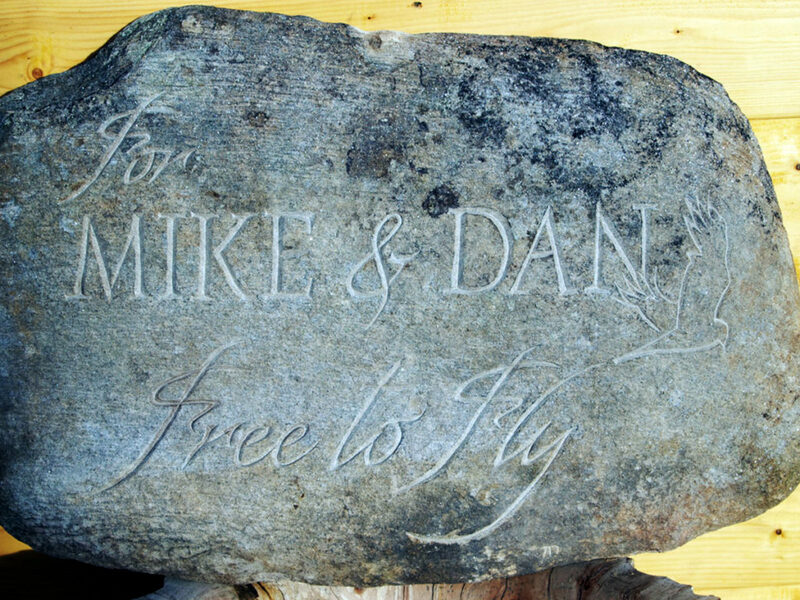 A small field stone grave marker for father and son. Delliefure Natural Burial Ground, Speyside.